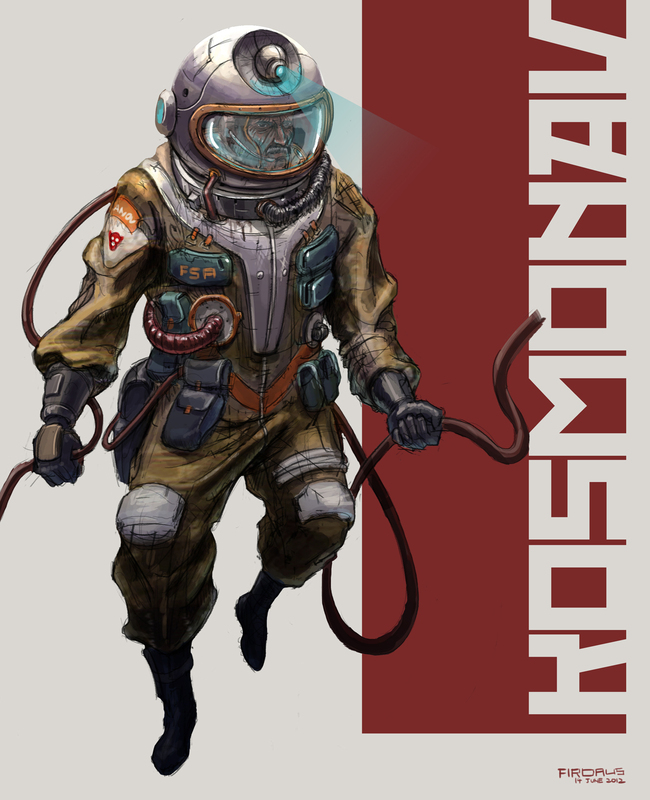 So here's my take on the Soviet cosmonaut. Started sketching this before I caught Prometheus and after watching the show, I realized how truly uncool my suit was. Anyway, I decided to finish this off with some colour under my lines, in the interest of time. This is a great design. The color and the light on the helmet are cool. I like the pose and foreshortening too. The face and the sketchy line art style take away from how strong the rest of this suit is. If you spent some more time on the line art you would have a really nice portfolio piece IMHO. Keep up the striking work. Wow!